209,240,300 AND 418 SQ Y PLOTS FOR SALE. 2 K.M OPP:KAMAL VEER TWIN THEATERS. RATE--13000 TO 16000 PER SQ Y. 2.DTCP PLOTS IN SAI VENKAT,BACK OF SUBANIKETAN SCHOOL. 2 K.M FROM SARPAVARAM JUNCTION TOWARDS AUTO NAGAR. RATE--13000 TO 18000 PER SQ Y. RATE--9500 TO 11500 PER SQ Y. RATE--8500 TO 9500 PER SQ Y. 5.DTCP PLOTS AT SAI VIJAYA,TIMMAPURAM. 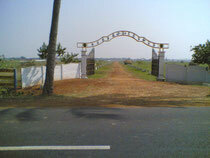 6.DTCP PLOTS AT SAI SATYA,TAMMAVARAM. RATE--8000 TO 9000 PER SQ Y. 425 SQ Y PLOT BACK OF MUNICIPAL OFF.KAKINADA. RATE--45 K PER SQ Y. 775 SQ Y PLOT BACK OF MUNICIPAL OFF.KAKINADA. 267 AND 600 SQ Y PLOTS FOR SALE. RATE--28000 TO 32000 PER SQ Y. 8.DTCP PLOT IN SANTI NAGAR. RATE--55 K PER SQ Y. 10.PLOTS IN JAYENDRA NAGAR BANK COLONY. 600,666 SQ Y PLOTS FOR SALE. 500 SQ Y PLOT FOR SALE. 400 SQ Y PLOT.SOUTH FACING. 310,350 AND 400 sq y plots for sale. RATE--30000 TO 32000 PER SQ Y. 267 SQ Y EAST FACING PLOT. RATE--30000 TO 31000 PER SQ Y. 15.DTCP PLOTS IN BAVANI NAGAR. RATE--29000 TO 31000 PER SQ Y. 16.DTCP PLOTS IN SASIKANT NAGAR. 267,311,416 SQ Y PLOTS FOR SALE. 17.DTCP PLOTS IN KRISHNA NAGAR BANK COLONY. 428 SQ Y PLOT--E/F--35 K PER SQ Y. 18.PLOT IN POTTI SREERAMULU NAGAR. 247 SQ Y--SOUTH FACING PLOT. 19.DTCP PLOT IN DURGA VIDYUT NAGAR. 330 SQ Y PLOT--W/F--42 K PER SQ Y. 150 SQ Y PLOT--W/F--38 K PER SQ Y. 333 SQ Y SQ Y--SOUTH FACING PLOT. 23.PLOTS IN SANTOSH NAGAR.NEAR GANGARAJU NAGAR. 150 SQ Y--WEST FACING--32000 PER SQ Y. 300 SQ Y--EAST FACING--32000 PER SQ Y. 444 SQ Y-EAST FACING PLOT. 500 SQ Y--EAST FACING.32000 PER SQ Y. 600 SQ Y--EAST FACING.35000 PER SQ Y. 300 SQ Y WEST FACING PLOT. 320 SQ Y PLOT--N/F--32 K PER SQ Y. 400--W/F--55 K PER SQ Y. 550--E/F--55 K PER SQ Y. 29.DTCP PLOTS IN BAPANNADORA COLONY. 267,330 SQ Y PLOTS FOR SALE. RATE--32000 to 359000 PER SQ Y. 30.PLOTS IN RAYUDUPALEM,BACK SIDE OF APSP. 200 SQ Y WEST FACING PLOT--19500 TO 23000 PER SQ Y.